Our team of expert CCTV installers in Dorchester have many years of experience in providing and installing CCTV systems for commercial and residential properties. We are playing our part in reducing crime – you can play your part, too. If you are unsure as to the type of system which is best for you, we will guide you along the right lines. We will even go so far as to offer you a free quotation. So why not contact us immediately. Just explain to us your particular requirements – give us a budget if necessary – and we will provide you with a package that you will find is extremely good value for money. Crime levels are fairly high for a town of Dorchester’s size. While the levels reported are within the National average, it is worth noting that anti-social behaviour especially can be deterred by using CCTV. Not only does CCTV provide a real high profile deterrent against loitering and criminal damage, evidence is very often successful when making a prosecution or dealing with the Police. Our team in Dorchester work with both home owners and businesses to help protect customers properties against crime. Looking to have CCTV installed in the Dorchester area? We’ve established an outstanding reputation in the area over the past few years for supplying and installing reliable and highly effective systems that suit all budgets. There really is no better way to protect your home or your businesses, and having CCTV installed really gives you peace of mind. We only ever use the very best products that we have experience in, which means you can rest assured that whatever product we recommend for you, it is one that is highly effective and will give your property the protection it needs for many years to come. All of our systems now are either HD or IP. IP systems are the most high tech on the market and they modern RJ45 wires which are just like the wire that your connect your internet router to your broadband. This offers lightning fast data transfers and gives you the very best image quality, sharply focused and pinpoint sharpness. It also powers the camera at the same time, which saves having bulk wires trailing everywhere too. 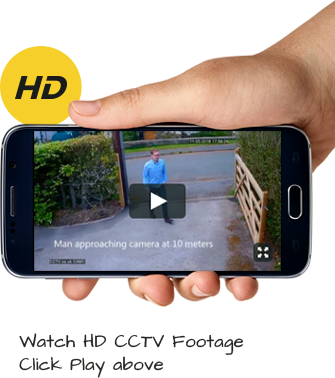 HD CCTV systems are as you would expect, high definition systems, so you can imagine how good quality the footage is, although not quite as good as the IP systems. You can get full 1080p images with these systems which is good enough for most home and commercial systems and they are also very attractively priced too. Thankfully, the process is really, really easy. The first stage is to get one of our free-of-charge, no obligation assessments. One of our trained technicians will come to your property, find out about your needs and requirements and come up with a system that meets them. They’ll also work within your budget, ensuring that you get the right system for you at the right price. All you need to do is complete our online contact form or call 0800 211 8310 to book your free, no obligation quotation.